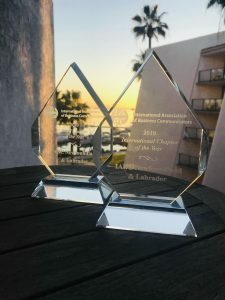 St. John’s, NL, Feb. 11, 2019 – The International Association of Business Communicators Newfoundland and Labrador Chapter (IABC NL) is the recipient of the International Chapter of the Year Award, presented in Long Beach, California last week. Every February, IABC International hosts a Leadership Institute. This is an opportunity for IABC leaders from around the world to network, share best practices and learn about leadership development. The Chapter Management Awards (CMAs) are held during this time, recognizing the leadership abilities, management skills, creativity and teamwork of outstanding volunteer leaders worldwide. The awards cover initiatives from July 2017-Nov. 2018, and span two board and fiscal years, with most of the work taking place last year. 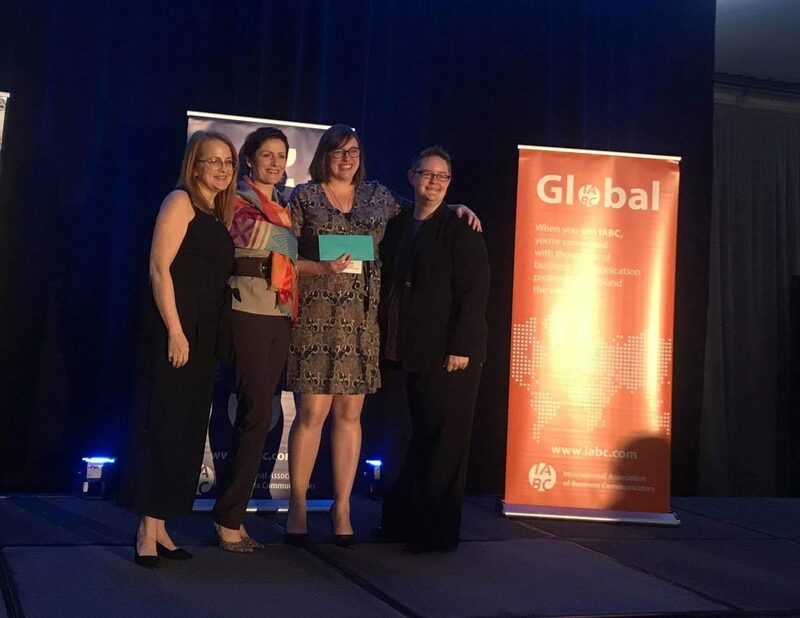 IABC NL also took home the Small Chapter of the Year Award, an Award of Excellence in the category of Membership and Marketing, and four Awards of Merit in the categories of Communications Management, Volunteer Engagement and Leadership Development, Financial Management, and Chapter Events, the latter recognizing the Chapter’s annual Pinnacle Awards Gala, taking place this year on June 27. The IABC Canada East Region supports chapter leaders from the province of Ontario to Newfoundland and Labrador, consisting of eight chapters. IABC NL is a past recipient of the International Chapter of the Year Award (2009), and has won the Small Chapter of the Year Award six times, as well as awards for specific portfolios. IABC NL Board Members from 2017-18 and 2018-19.